Oklahoma History comes to LIFE! Miss Fay Armstrong used marionettes as teaching tool during the last 30 of her 50 year career teaching first grade in Chandler Oklahoma from 1911-1961. That is why the Lincoln County Historical Society chose marionettes and Miss Fay's name for their Children's Historical Resource Center's project. 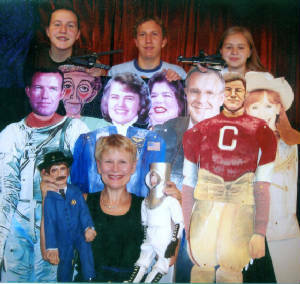 Miss Fay's Touring Historical Marionette Theater performed by Joann McMillan has presented a series of 4 different carefully researched historical marionette plays in hundreds of Oklahoma schools in the past 14 years to rave reviews from students and teachers alike. 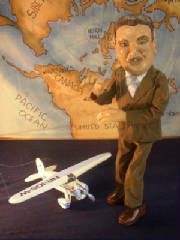 KEEPING THE PEACE, THE STORY OF MARSHAL BILL TILGHMAN, a traditional marionette play with beautiful wooden marionettes. 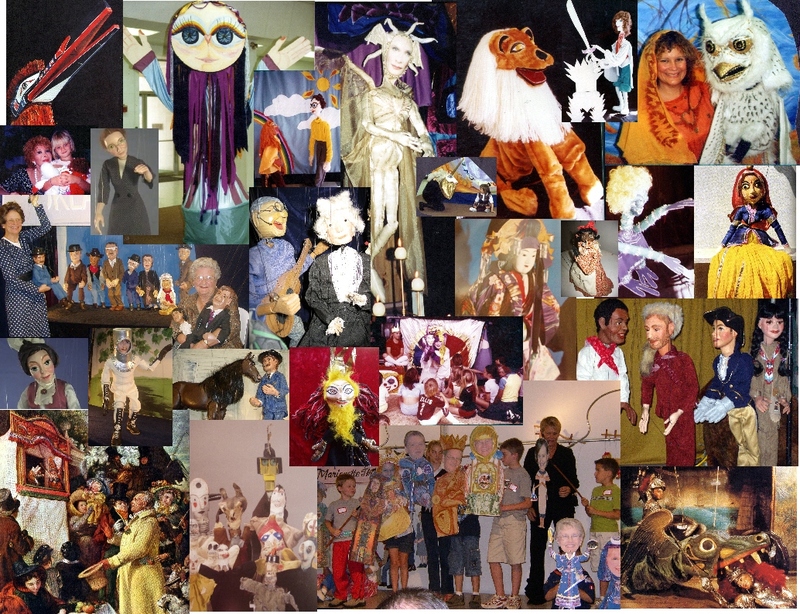 It is followed by a question and answer period and a series of short skits with large colorful puppets and lots of audience participation which illustrate the history of the art of puppetry. This program is being presented for 10 days in September and October of 2011 at the Museum of Pioneer History, 717 Manvel Ave, Chandler OK for school field trips. Reservations are also available for the general public and homeschool groups, please call (405) 258-2425.